When it comes to your boat, you don’t want to leave it with just anyone in Minnesota when repairs are needed. Letting an inexperienced repair man work on your boat because they may offer repairs at a cheaper price could end up costing you more in the long run. With such a large investment, do you really want to cut corners with your repairs? Your better option is to team up with boat repair experts from the premier boat repair shop in Minnesota, Anchor Marine Repair. With every boat that enters our facility, we make a commitment to repairing it to better than pre-accident condition. How is that for service! Whether you have structural or cosmetic repairs that need to be corrected, Anchor Marine Repair has you covered. Not only does our reputation speak for itself, but so do our hidden incentives. Our estimates and consultations are always free and we do not shy away from working with boat insurance providers. Additionally, if your boat resides within 250 miles of the Minneapolis and St. Paul, MN area, one of team members will provide you with complimentary pick-up and delivery services. What excuse do you have now? We make it as easy as possible for you to get your prized possession repaired. 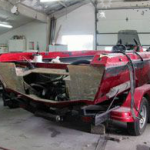 What good is a boat if it is damaged and can’t be taken out on the water? Don’t be tricked into allowing someone to handle your boat repairs that has minimal experience. It is important to ensure that your boat is in the hands of boat repair experts that have the resume and experience to back their services up. 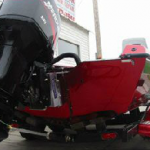 Lucky for you, Anchor Marine Repair is the premier boat repair shop in Minnesota. Give our talented staff a call today at (763) 972-3540 and let us handle all of your boat repair needs.